Back in California this week for the WGC Cadillac Match Play! Fun diversion from the standard stroke play that we’ve been watching all year (and for the rest of the year too since this is the only non-standard scoring event). We got a new format, cool venue, and the best players in the world. Hey wait a minute, didn’t we already have a WGC Cadillac something earlier this season? Damn straight we did. The WGC Cadillac Match play is the second Cadillac sponsored WGC event this year (an impressive 50% of WGC events are Cadillac sponsored), the previous being the Championship at Doral previewed by me here. In that preview, I talked a little about Cadillac’s namesake, Antoine de Cadillac, and how he was kind of a scumbag. This time, I figure I’ll talk about Cadillac the not too impressive car company. I’ll be honest, I didn’t really know much about the Detroit car brands before looking all this up. First thing to know is that Cadillac is a division of General Motors. This means that Cadillac sits along side of other car brands such as Chevrolet, Buick, GMC, as well as the widely known brands like, Holden, HSV, Opel, Vauxhall, Wuling, Baojun, Jie Fang, UzDaewoo (all according to wikipedia). 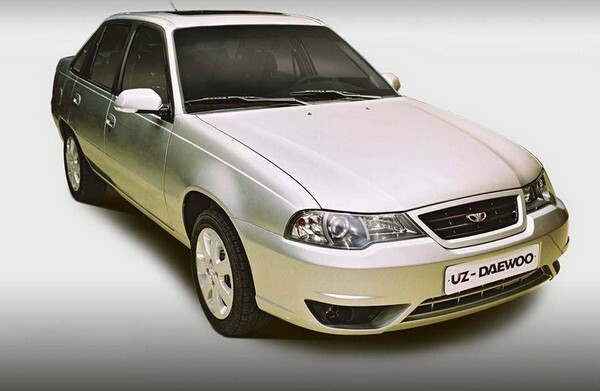 I heard the field at the UzDaewoo Open and the Wuling Invitational are stellar this year. The Cadillac brand sprouted from the remains of the Henry Ford Company after it failed in 1902. (Side note, the Ford Motor Company, from which Ford cars come from, also was started right after the Henry Ford Company folded. So basically from Henry Ford Company came Cadillac and Ford). From there, GM acquired the brand in 1908 and it became GM’s luxury line where it remains today. Though luxury is a little bit of a stretch. Still, being around for more than 100 years is damn impressive in an age where brands come and go more often than Phil Mickelson’s play. New format this year! Pretty much every golf match play event (like all those USGA amateur championships) follows the normal bracket idea of single elimination. Think March Madness. But thankfully, someone with the World Golf Championships realized that single elimination does not a good golf tournament make. Or at least it doesn’t make it good to watch on tv which is all they care about. As a result, this year’s match play is following a new format that not only should make it better to watch the first few rounds, but also lowers the randomness. And I for one am a fan of lower randomness. The format goes like this. The 64 players are grouped into 16 different groups (that’s 4 per group for the math deficient out there). The four players in each of the groups play a match against each other, where the person who has the most points moves on to the top 16, where a normal bracket elimination begins until we have a winner! Kind of like the World Cup now that I think about it. Cool concept. Now at this point, you might be wondering how those 16 groups are determined. Each of the top 16 players in the world are the top seeds in their groups. The remaining players in each group are then determined during a 90 minute tv special. That’s right, 90 freaking minutes, where they will “televise the draw, analyze the groups and feature live shots from San Francisco to get comments and reaction” from talking heads who probably shouldn’t be on tv anyway. I added that last part to show my displeasure with the whole show. In the end, each group will have one guy 1-16, 17-32, 33-48, and 49-64 in OWGR, with a little fudging for the players who have withdrawn. Also, if you want more of an explanation, check out this link from pgatour.com. TPC Harding Park has gone through a sort of riches-to-rags-to-riches transformation over its existence. Best analogy would be something of Simba in Lion King who goes from prince to sort of exiled hippie to king. 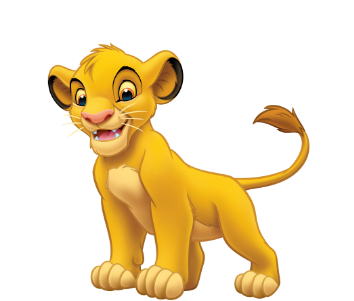 Or for the high brow readers here, Hamlet who follows the same story as Simba since Hamlet was based on the Lion King. Pretty sure that’s the order they were made in. Back before 1970, Harding Park was a hotbed for talent and big tournaments. Hosting the Pub Links in ‘37 and ‘56, along with a PGA Tour event in the 1960s, the municipal course in San Francisco had fame, popularity, and good conditions year round. These were the “prince” years. After the Tour stopped playing an event there, the course took a nose dive where the conditions deteriorated and nobody really cared to keep the course looking nice as happens sometimes with courses owned by the government. Early 1970s to the early 2000s were dark times for Harding Park. I’m considering this the “hippie” years, which actually fits well since the course is in San Francisco. Finally, in 2001, Simba came home to strike down Scar and secured enough funding to restore the course to its former glory and beyond actually. Added length and an improved practice facility means that it can host events the size of the Presidents Cup in 2009 (oddly convenient since the course is named after US President Warren Harding) WGC Match Play, and even the 2020 PGA Championship. Foreigners — Unsurprisingly, foreigners play a key part in the World Golf Championships. Who knew? This means we viewers get access to some of the Euro and Asian tour guys. Combine with a decent randomness of match play and we’re bound to get a breakout foreigner who goes deep in the bracket. Last year it was the beautiful haired Victor Dubuisson. This year? I’m going with Aphibarnrat, if only to be able to put this video in the preview (skip to ~50 seconds). Look at that emotion! In depth player profiles — Four players play on Sunday. That means NBC/CBS and Johnny Miller/Nick Faldo are going to have plenty of time to talk about random crap, which generally means you’re going to know what color underwear each of the players wears on each day of the week. Well maybe not that, but you’ll probably know where they grew up, home course, and what charities they represent. Match play tournaments means extra downtime, so check out how the network decides to fill it.